Central Kentucky is a great place to be! There are some wonderful holiday trips that are very close or just a few hours away. Start near home and work your way all around the region! For more information about an event or destination just click it! 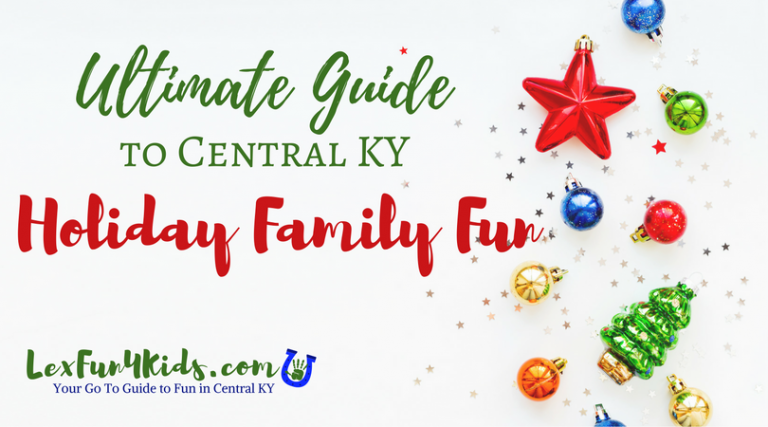 Enjoy this Central KY tradition with a car full of family or friends. Load up and drive through the thousands of lights then stop by the indoor displays to see Santa, train displays, the petting zoo and more! This season, Shaker Village will bustle with light-hearted moments that remind us of long-ago winter days filled with wonder and laughter. Make time to delight in life’s simple gifts with family and friends, as lively music, merriment and twinkling lights illuminate the Village. Shaker Village will be adorned with holiday swags, wreaths and garlands made from traditional fresh greenery and rolls of red ribbon. Each evening, the Village turnpike will glow with thousands of lights. Caroling, workshops, tea with Mrs. Claus and more! Enjoy Illuminated Evenings with Mrs. Claus, hot chocolate and the Jingle Bell Shuttle Rides. Admission is just $5 after 5 pm! Book special events early – they are already selling out! Enjoy The Nutcracker, holiday music, movies and more! Each year the Louisville MEGA Cavern is transformed into an underground holiday light spectacular for the Christmas season. Load up the kids and enjoy a 30 minute ride through part of 17 miles of underground passageways, which features over 850 lit characters with over 2,000,000 points of light. It’s the only underground light show of its kind on the planet! MEGA Cavern’s Lights Under Louisville allows the public to drive their own vehicles inside the cavern, during the Christmas season, to experience this one of a kind holiday transformation. It’s a great way to get your family in the mood this holiday season, so load up the kids and enjoy the sights and sounds of Lights Under Louisville..
Marvel at lavish holiday displays featuring more than three million twinkling lights and festive décor at A Country Christmas, Gaylord Opryland Resort’s celebration of the season. Experience the yuletide atmosphere and events with our exclusive Christmas packages. Plus, Enjoy ICE! and watch Charlie Brown rediscover the true meaning of Christmas as the beloved classic story unfolds through interactive ice sculptures and displays. Something extraordinary is making waves at Gaylord Opryland! Opening December 1, 2018 is SoundWaves, a luxury indoor and outdoor water experience with dedicated recreation zones for adults, young children and families. What an awesome way to explore the zoo! We strolled my little one through and enjoyed hot chocolate, Santa, and more lights than you can imagine throughout the zoo! Walk outside then warm up in one of the indoor exhibits. It’s always fun to see the animals in the winter. Explore the Fairyland, see gingerbread houses, meet Santa, watch Madcap Puppets perform a black light show, ride the Toyland Express Train, and more! Each year the museum center comes alive with special holiday events. 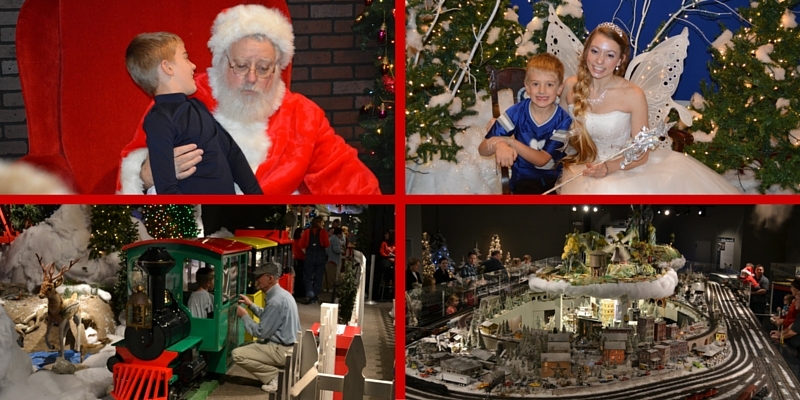 The Holiday Junction event brings in all sorts of trains for you to enjoy. This event will be scaled down quite a bit this year due to big renovations going on in the museum but they have a cool LEGO inspired tie in this year. Click HERE for the Lex Fun 4 Kids Review of the Museum Center.